Tarot Fortune Stalls are Tarot Fortune Houses owned and operated by players using their own spreads and reagents to give other players tarot readings for a fee of gold. They also earn Tarot Points that can be used to buy new spreads and other items. Operating a Tarot Fortune Stall requires your Card Book to have all 22 Gold Tarot Cards, at least 1 Gold Spread and at least 1 Fairy's Marble. Without these the stall will not open. 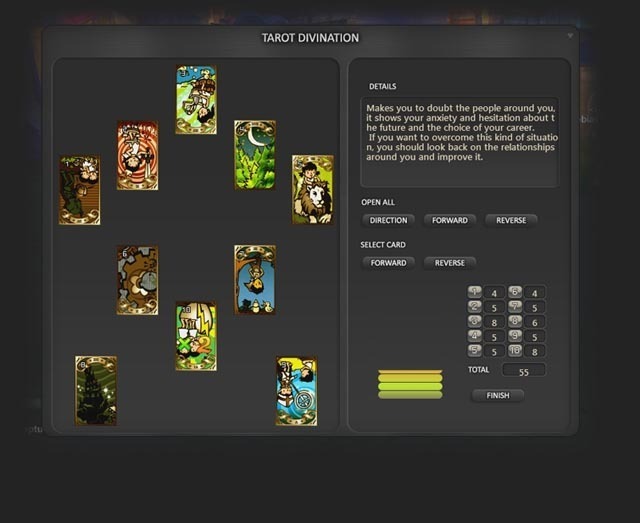 To get started, go to the General Menu and select Tarot Stall. 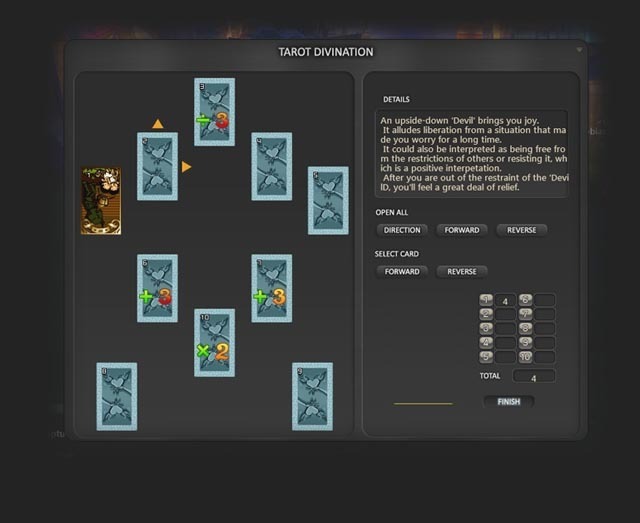 You will be greeted by the Tarot Fortune Stall interface where you can enter name for your stall. Try to use words that describe which spreads you have so players can see what you have available. You must also set a fee for your reading. This is what the player will pay you for reading their fortune, since they will be using your supply of Fairy's Marble. Click the Open button to open your stall to the public. 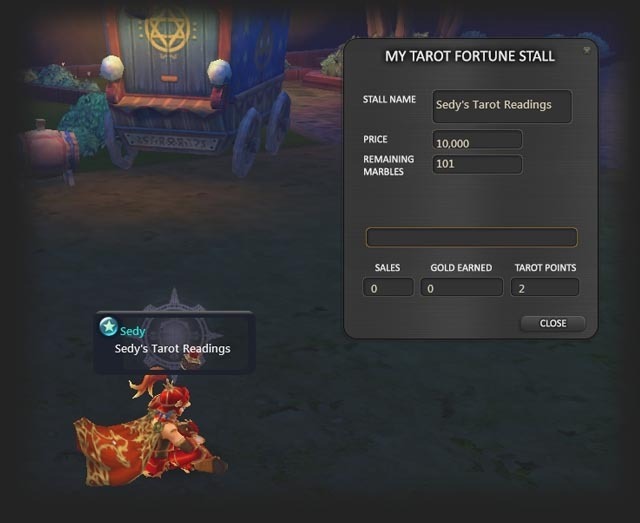 The stall interface shows your fee, remaining marbles, how many sales you have made so far, the gold earned and tarot points earned. It will also display who is currently using your stall. 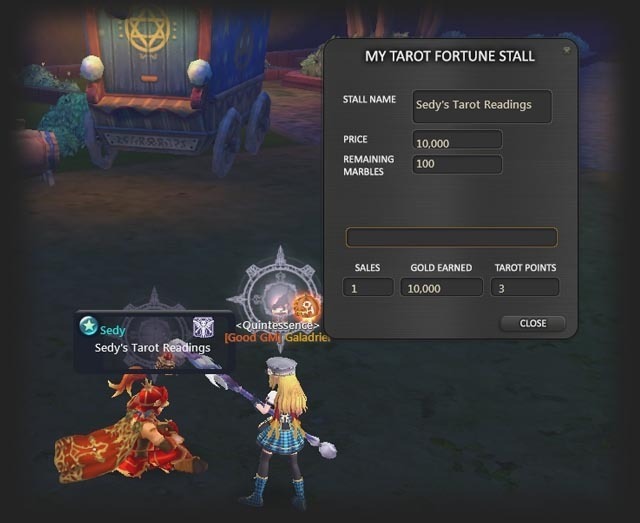 When a player click on your stall, they will be greeted with the familiar Tarot Fortune Store interface, just like they clicked on Fortune to read their own, but it will show your stall name and the fee at the top of the spreads. 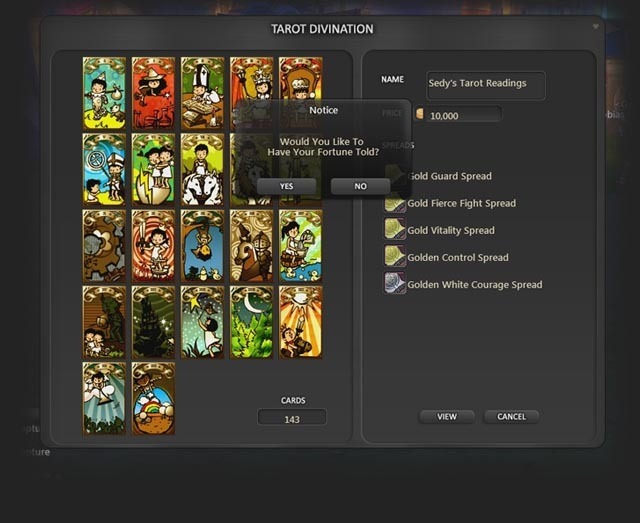 After clicking View and selecting a spread from your available spreads they will select 10 cards and flip them just as in the normal Fortune House. After each customer, your stall interface will update your gold and points earned and deduct 1 Fairy's Marble from your inventory. 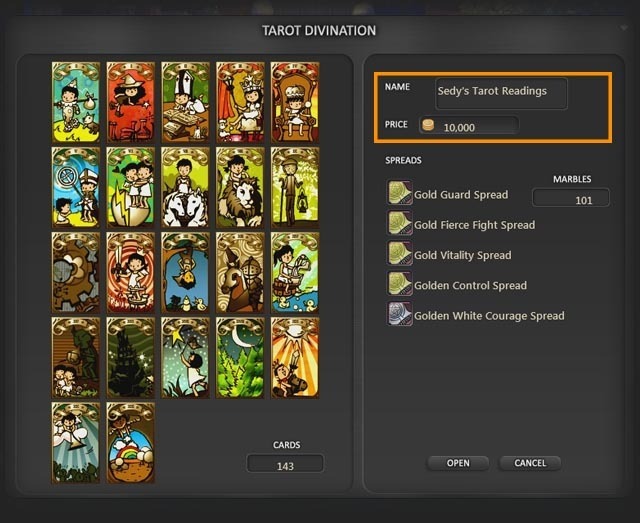 Tarot Points can be used to purchase new Gold Spreads from Tobias the Grand in Terminus.